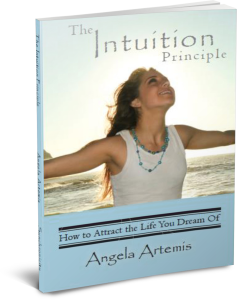 This is a guest post by Debbie Hampton for Powered by Intuition. There are generally two types of people in the world when it comes to decision making. More Information + More Time = Better Decisions? Gathering more information and taking the time to make calm, careful decisions is better, right? Not always. There is an implicit belief in our society that more information is better. This is supported by basic economic theories. Economist do concede and make the exception that this is not true when the information is not free. The general rule is, according to economics, that more information is always better unless the costs of acquiring further information exceeds the anticipated gains from it. In his book Gut Feelings, The Intelligence of The Unconscious, Gerd Gigerenzer posits that this is not true even when the information is free and that, while this does prove accurate in some cases, there is a range of situations in which less time, less information or fewer alternatives can actually lead to better decisions and outcomes. In 2000, he asked 100 random pedestrians in Berlin to pick 50 stocks they recognized out of a list of 100. Taking the ten stocks most often chosen, he created a portfolio and submitted it to the investment magazine, Capital, to take part in a contest they were conducting. More than 10,000 participants, including the editor-in-chief and professionals with sophisticated computer stock picking programs and insider information, submitted portfolios. Even in the down market which followed, his portfolio, based solely on collective recognition, gained 2.5% and out performed 88% of all the portfolios submitted. The editor-in-chief of the magazine lost 18.5% on his portfolio. In a second similar experiment, the results were almost identical. Given that some 70% of mutual funds perform below the market in any given year, these results were not totally surprising. These experiments illustrate the concept which he calls “a beneficial degree of ignorance” where a gut feeling can outperform a considerable amount of knowledge and information. He states that, oftentimes, we make decisions based on intuitive judgments which have a real basis in the unconscious mind. In this case, something he calls the “recognition heuristic” is at work. The recognition heuristic implies that when a person recognizes one object but not the other, then, they infer that the recognized object has a higher value. This kind of unconscious intelligence has actually been identified to be located in the anterior frontomedian cortex of the brain by fMRI (functional magnetic resonance imaging) scans. While the exact function of this area of the brain is still not specifically known, it is widely associated with unconscious intelligence. Such intuition is not impulsive, but is believed to be a form of unconscious evaluation and can be consciously over ruled. Similarly, too much information and too much thinking can be detrimental – even deadly – in other cases. For example, imagine a marine on the front lines of combat in a war zone with bullets whizzing by and bombs exploding nearby. Trying to gather too much information here before acting could prove deadly. An airplane pilot could crash before they analyze multiple options and arrive at the best one in an emergency situation. The gut feelings of trained professionals are based on unconscious skills which can be impeded by over deliberation. In such cases, thinking too much about the processes involved or utilizing more time, thought or attention can slow down and disrupt performance and, in some cases, prove deadly. New York City firefighters receive over 600 hours of training and a multitude of written exams before they are eligible for assignment. By the time they encounter their first fire, a lot of what they need to do is so practiced and ingrained they could practically perform their job in their sleep. …this is no different for FBI agents like Keith (650 hours of training), doctors (an average of 11 years), and many other professionals that call for performance under pressure. The same is true for experienced athletes. In his book, Gigerenzer tells of studies of novice and expert golfers. Under timed pressure, novice golfers, not surprisingly, performed worse while expert golfers actually did better when they had less time. With repetition and practice, motor skills become unconscious and are best when performed outside of conscious awareness. For this reason, gymnasts, professional tennis and basketball players and many more put a lot of time in practicing; so they do not have to consciously think about everything in the moments when they need to perform at their best. They can just rely on the quick, intuitive decisions of their unconscious brains. You do this too. Think of tying your shoes or riding a bike or driving a car. While learning, you need to consciously pay attention and concentrate on every detail. After that, having to consciously think of the steps involved would be detrimental to actually performing the task at hand. Once some one is skilled at something, it is best to stop thinking. Can you think of a time when it would have been better to “just stop thinking?” What happened? How would the outcome have changed had you stopped thinking? If you enjoyed this post please share it Facebook, Twitter and G+1. Thank you for your support! P.S. Don’t forget to enter my Facebook promotion to win a free mediumship reading. 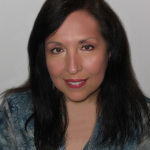 (want to know what a mediumship reading is? 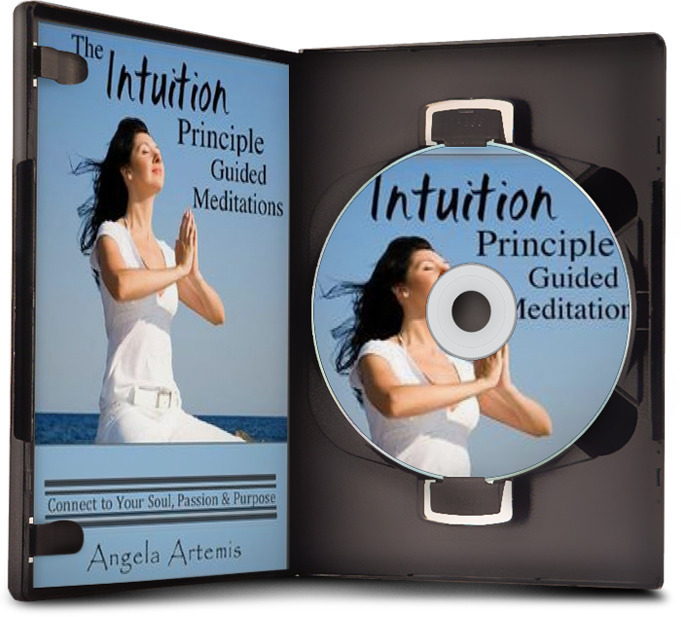 click here) Just go to the Powered by Intuition FB page, “Like” the page and then leave a sentence on the wall saying you’d like to be entered in the promotion. Click here to be taken to the FB page. Debbie Hampton blogs at The Best Brain Possible. In June of 2007, Debbie had a global, acquired brain injury (ABI) resulting from a suicide attempt. She was seriously mentally impaired. Through practices such as neurofeedback and Brain State Technologies’ brain optimization she has made a remarkable recovery. By changing her thoughts and perception of life, she has changed her world and in turn, has changed her physical brain. We have much more power to recover from a brain injury, improve our brain’s functioning, and to create our own happiness and reality with our brain than we ever knew. Neuroplasticity is the magic wand we all have. Debbie likes to share information about the tools to do this, the journeys she’s been on to accomplish this and to encourage others to embark upon their own journey. Still Feel Like An Outsider Looking In? Jimmy, I love the squirrel example. I did not mean to suggest that the ONLY way to develop this type of “squirrel sense” was to put in all the hours given in the examples. These are specifically stressful situations for which these people train beforehand. 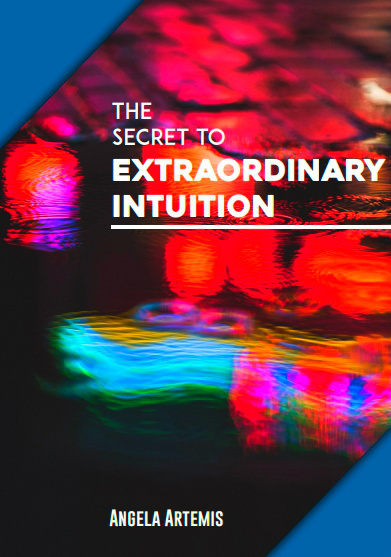 I, personally, think that many experiences in the everyday life of a “normal” person – not running into a fire or performing a complicated gymnastic routine – culminate to synergistically yield this type of innate intelligence. I also believe that a person can encourage and develop it through practices like meditation and mindfulness. Thank you so much for the gift of this wonderful guest post to PbI. The information you shared was valuable and informative. The concept you described here reminds me of the “Act like the Squirrel” theory that psychologist John Elliot advocated in his work. Basically, he suggested that when suqirrels make a dash across a tree branch high up in the air, their brain are not in the thinking mode. Likewise for humans to perform under duress, the best performance comes when little thinking is done. If you get a human to run across a bar high in the air, the chances will be that there will be a lot hesitation and fear simply because too much perception is happening in the mind. Exactly like what you have described; too much thinking. But your post also suggested that the only way to develop this form of intuition or unconscious intelligence is to be immersed in the activity for 10000 hours or more. I do not disagree with that which Malcom Gladwell has suggested in his book. My question is: How can we as psychologist and personal development people speed this process up such that we can think like a squirrel? Great to see this post here. Debbie, I do appreciate your invitation to stop thinking sometimes. I can cling to thoughts and try to logic my way, often times it gets in the way. The reason I need to meditate everyday is to have moments of non thinking. David, thank you for your informative comment. Interesting how this is represented on the Myers-Briggs. As you point out, despite our natural tendency, we all can certainly learn, grow and operate effectively in many situations by respecting and recognizing the most appropriate intelligence for the particular circumstance. This sensing/intuition (S-N) dichotomy is well established in the Myers-Briggs world as tshe preferences we all have as to how we acquire information and the thinking/feeling (T-F) dichotomy on how we prefer to make decisions based on that information. What you have highlighted very well is that – notwithstanding our natural preference, when we are self-aware and conscious, we can actively choose to use a different mode and thereby explore the potential in a way that would not naturally be obvious to us. Natural “N”s can operate in. “S” mode and those with a strong preference for “F” can be more “T” in their approach. This can lead to breakthorughs in both personal and collective thought and action. The older I get the more I over think. That’s a definition of fear, isn’t it??? The example from the stock market survey was amazing. I’m listening to my gut more and thinking less this week. I’ll see what happens. Hey Tess! Yes, I believe, over thinking, needing all kinds of information, and seeking other opinions are signs of fear and signs of not having faith in yourself or the universe. Boy, I used to be a master at this. Now, I probably do not stop to think and gather enough information, oftentimes. It is a delicate balance that changes for each situation. Yes, I believe in you that sometimes, it’s best to just stop thinking especially when we are overcoming difficult situation in our lives. I have to agree too that metaprograms represent Belief systems and these can be changed. I am familiar with Malcolm Gladwell’s book but not the others, so thanks for the very useful references. I also believe that we have heart and, indeed, gut-brains and that we can act intuitivelyor (gut) instinctively because of experiences/ data we gather there as well as in our mind-brain. The challenge, I think, is to become aware of all the conscious and unconscious intelligence we have access to and integrate it into our lives. Knowing when to think and analyzing why I think what I do in some situations and seeking and trusting intuitive wisdom in other situations has allowed me to consciously create a better life. However, I still have a great deal to learn. Stephen, glad you found the post over here! Yes, I do recall discussions about metaprogramming and NLP. I think there are many terms which basically refer to the same kind of inner knowing whether it comes from the gut or the brain. I, personally, think it all combines to become inner knowledge if we tune into it. It appears that it is unconsciously biased by the past, perceptions and beliefs, but we can consciously over ride this. Still working on that one. Guess it is a life long process. I was not familiar with Gladwell before this, but apparently he one of the founding fathers in unconscious intelligence. Your article also proves the point that knowledge which is information gathering is not necessarily wisdom. Too much unnecessary information can lead to clutter, causing the brain to be overloaded. Sometimes, I have felt the need to take a break, step aside and allow my mind to sort and arrive at a conclusion. I agree that these times it’s best to stop trying to absorb more information but to give it space. Evelyn, very good points. I think, we gather information to allow us to feel like we are doing something productive that gives us some illusory level of security when we do make a decision. I know I am guilty of this. What might be more beneficial is to “give it space” as you say. There is a lot we don’t understand about the human mind. I think most of us underestimate our true capability for understanding. We tend to rely on logic solely in situations where intuition would be just as much – if not more – useful. I know this is much as anyone. Luckily, there are some people who get this and use it to their advantage. The site is called “powered by intuition” after all. Thanks for the kind words, Fred. I think, that our experience is optimized and actualized by knowing and utilizing all the various types of intelligence available to us. I try to allow myself to be powered by intuition and all other forms of wisdom. The tricky part, I have found, is knowing when to let which one speak the loudest to me. Great job on the post. This weekend I went through information overload and could completely relate to what you are saying here. I was spending hours looking at different freelance writing opportunities and registering with these sites. Reading through the terms and seeing which ones matched my expertise was super draining. Bryce, sounds like a classic case of too much information and too much thinking. Makes my head hurt to even think of it. I know you are glad it is done! Indeed, there is something about it. I vividly remember playing cards with my grandparents. They taught me all kinds of games from Go-Fish to Rummy etc. Whenever they would teach me a new game, I would inevitably go on a winning streak. They would say, “here goes the Beginners Luck!” This has always stuck with me. I was just ignorant enough to trust my gut. I have seen this same phenomena occur time and time again. Good story, Rob. It is a great example of how just going on a little knowledge and instinct can beat over thinking and trying too hard. The same is true for me when I play putt putt with my kids. I am good until I start trying. It is all down hill from there. Great, great, GREAT seeing you here on Angela’s site!! There are certainly times when I’ve over-thunk (is that a word?!?!?) things, only to have them not go as expected. And there have been times when I’ve just went with my gut instinct, and things just sort of flowed. I find that when I’m in what feels like a “crisis mode”, that instinct to go with the gut kicks in. And…how about that…it’s usually right on!! Hiya, Lance. I like it. If over-thunk is not a word, it should be! Our bodies do go to instinctive, gut wisdom when in an excited state. The executive functioning even shuts down even as oxygen and blood are diverted to essential functions. I have been reading another book, Blink, by Malcolm Gladwell which is about this type of what he calls “thin slicing.” He shows that, while we can have astounding wisdom and intelligence based on unconscious knowledge quickly in times of pressure, it can be heavily influenced by unconscious beliefs and perceptions. Ange…thanks for inviting Debbie to post. Great article. I know that when I get stuck on a project, I stop thinking. Then out of the blue, maybe a day later the answer comes and it is more creative than it would have been had I done more research. Rosemarie, great strategy. I do this too. Having had a brain injury, the information I need or the intelligence I seek is just not readily accessible, but I know it is there. I find that, if I stop trying to figure it out and go do something else, what I need usually pops into my head. Sometimes, I find sleeping on it helps too. Debbie, I’m with you all the way. Our minds and brains are mega computers always whirring into action, considering, contemplating, calculating, pondering and stirring and they’ll keep on working forever if we let them. But they only store data and information but don’t have the 3D know how of the finer senses which have gut instinct and awareness beyond logic – the stuff we need to get through every day and that can handle any situation we befall. We have over 50,000 thoughts a day but how many instincts do we also have that we never tune into and let guide us? John, good points. They do emphasize in the book many times that this unconscious intelligence can be over ruled by thinking. We are taught to do this from an early age and society, in general, does not value this unconscious intelligence. It would behoove each of us to learn to respect it within ourselves and in others. Debbie – so many times we don’t do what our gut tells us to do. Even with life’s bigger decisions, it’s scary to make decisions based on our gut. Our mind and experience loves to mull over things and take control. our gut feeling is usually right on. The question I have is if gut feelings are same as listening to your heart? Or if gut feelings is more about intuition? Vishnu, good question. I do not recall anywhere in the book where they address the intelligence of the heart. Going with my gut (like that? ), I am going to say, based on what I know about heart intelligence, that this is part of the unconscious intelligence. The heart has, basically, a brain of its own which takes in information from the environment and reacts secreting neurochemicals and, effecting our bodies. I believe, it probably even has its own memories. I think, these memories, impressions, perceptions are all factored into our unconscious intelligence. This post reflects a topic that I have found strongly about for some time. I have over-thought and over-analyzed so many situations in my life. The effects of over-thinking for me are clearly that a worse solution is adopted. I do much better when I make quick yet rational decisions. My gut instinct is much smarter and more reliable than my over-thinking brain. For me, the more I think about something the more likely I am to begin doubting myself and it just goes downhill from there! Anne, me too! Looking back, the worst decisions have almost always been made with over deliberation, too much information, and consulting others. What I have discerned is that I did this because I could not tune into my own inner wisdom and unconscious intelligence much less have the faith to follow it. Now, I find it is a delicate balancing act between the two which is usually aided by time and meditation.